In 2013 the Institute for Physics of Microstructures of the Russian Academy of Science will mark its 20th anniversary. The 20-year span in the life of the institute is long enough to be viewed as history. Of course, the IPM history has deeper roots and builds upon the development histories of research groups that later formed the backbone of the Institute. In these brief notes we remember the people whose life was and is associated with NIRFI, IAP RAS and IPM RAS in which they successively worked. The authors do not claim to be objective in their reminiscences, reflecting rather on their personal perception of the academic environment in which they matured, on human values and scientific achievements. NIRFI, the Radio Physics Research Institute, was founded in 1956 from several divisions of the Gorky physical-technical institute (GIFTI). In its turn the GIFTI (then NIFTI, the Nizhny Novgorod physical-technical institute) was organized in 1930 as a branch of the Leningrad state physical-technical institute (GFTI), currently the Ioffe Physical-Technical Institute RAS. The Radio Physics Research Institute (NIRFI) in the mid-1960s was the largest research institute in Gorky. It was administered by the Ministry of Education of R. S. F. S.R. and for science affairs it was subordinate to the USSR Academy of Science as well. 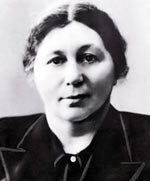 NIRFI was founded by Маria Tikhonovna Grekhova in 1956 and over the decade had acquired a worldwide fame. The NIRFI scientists were the first to establish space radio communications with Jodrell Bank Observatory in England via Echo satellites. Major milestones also include the Moon radio probing project under supervision of Vsevolod Sergeyevich Troitsky, space observations by radio telescopes at the frequency of transition of interstellar hydrogen. In the same period Аndrey Viktorovich Gaponov-Grekhov led the research activities that culminated in creation of brand-new electronic devices, cyclotron resonance masers (CRM). These sources produced radiation of as yet unprecedented high power at centimeter and millimeter wavelengths. In the area of condensed matter physics there was practically no systematic research conducted at NIRFI to the mid-60s. In 1964 Мikhail Аdolfovich Мiller, in those days leader of the plasma research in NIRFI, assigned V.A. Kozlov, then undergraduate of the NNSU radiophysics department, to look into the features of solid-state plasma: «…today\\\'s radio engineering is based on semiconductors, and we must be prepared that soon semiconductors will find their way into microwave electronics on a large scale, too. Therefore, we need to develop semiconductor research at NIRFI. There are currently foreign publications on solid-state plasma that seem quite timely.' M. A. Miller suggested starting off with a study of nonlinear effects in solid-state plasma. He gave his reasoning for this choice. With the appearance of lasers the nonlinear optics field saw major successes, like frequency multiplication, self-focusing, etc. It is essential that we achieve such effects with the use of CRM. The main goal here is to increase the frequency and create CRM-based coherent sources of electromagnetic radiation in the spectral range unattained thus far: submillimeter wavelengths. It will allow us to fill in the gap between the existing electronic sources of coherent microwave radiation and the laser optical waves, and thus cover the entire frequency range. To simply increase the generation frequency is not an easy task in CRM as it works at the cyclotron frequency, and the magnetic field cannot be substantially increased any more once the superconducting wire has reached saturation level. Therefore, a natural way to increase the frequency would be by causing harmonic generation through the nonlinear effects. In a word, we have to be able to produce coherent radiation of record-high frequency and power. The semiconductor research at the institute was entrusted to Avenir Mikhailovich Belyantsev who in 1966 was appointed head of department №4 at NIRFI. A research group was formed, including Vladimir Anatolyevich Kozlov, Vladimir Ivanovich Piskarev (he was earlier engaged in the laser field, worked on multiplication of CRM radiation frequency in InSb), Vladimir Alexeyevich Valov (application of П5-10, П5-16 receivers for registering nonlinear conversions of millimeter-wave frequencies in InSb). In 1969 А. М. Belyantsev and V. N. Genkin reported their work, «On linear receiver for the submillimeter range', in the Izvestia VUZov. Radiofizika Russian Physics journal. 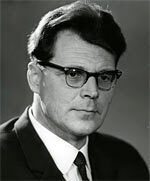 In 1970 А. М. Belyantsev was placed in charge of newly-formed department №2, and the solid-state group expanded to include the 1970 graduates of the NNSU radiophysics department Zakhary Fishelevich Krasilnik (he joined in the research on acoustoelectronics conducted by the team led by Mikhail Izrailevich Rabinovich), Boris Alexandrovich Trifonov (nonlinear effects in InSb and GaAs in the millimeter and centimeter-wave ranges, Supervisor: А. М. Belyantsev), Vladimir Vladimirovich Sokolov (dimensional effects in thin films, Supervisor: V. N. Genkin). In 1971 another NNSU graduate, Valery Nikolayevich Shastin (cyclotron resonance maser on electrons in InSib, Supervisor: Аlexander Alexandrovich Andronov), and in 1973 Аnatoly Alexandrovich Ignatov (semiconductor superlattices, Supervisor: А. М. Belyantsev) joined the department. In that period the group actively collaborated with the associates from other divisions of NIRFI, who then came to work in the department: А. А. Аndronov (hot charge carriers in semiconductors), V. N. Genkin and V. M. Genkin (mechanisms of nonlinearity in semiconductors), G. M. Genkin and Yu. N. Nozdrin (magnetooptics). In 1973 V. A. Kozlov focuses on extending the numerical Monte Carlo simulation method to calculations of high-frequency conductivity of semiconductors with actually attainable parameters. In 1978, on completing his postgraduate program at the Moscow Physical-Technical Institute, Vladimir Izyaslavovich Gavrilenko begins research into the cyclotron resonance and, shortly after, spontaneous emission of far-IR radiation by hot holes in Ge. 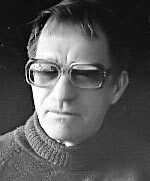 In 1980 Vladimir Ivanovich Shashkin (parametric effects in superlattices, Supervisor: А. М. Belyantsev) joins the department. In 1979 V. N. Shastin and А. A. Аndronov suggest a laser concept based on intersubband transitions of hot holes in germanium. The research in the field of hot charge carrier physics and the discovery of semiconductor laser (1984) and germanium hot-hole maser with negative effective hole masses (1984) received wide recognition and were awarded the USSR State Prize for science and technology in 1987 (the laureates affiliated with the USSR Academy of Science Institute of Applied Physics: A. 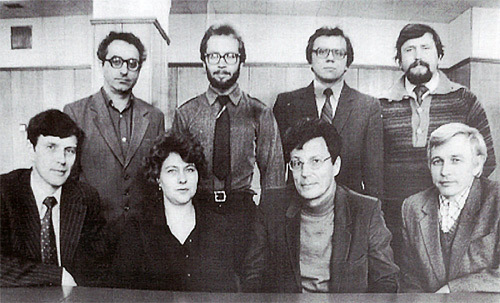 A. Andronov, А. М. Belyantsev, V. I. Gavrilenko, V. A. Kozlov, Z. F. Krasilnik, V. N. Shastin). 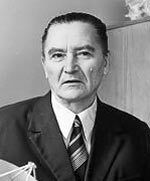 In 1977 the Institute of Applied Physics of the USSR Academy of Science (IAP USSR AS) was organized on the basis of several divisions of NIRFI, academician A. V. Gaponov-Grekhov was appointed Director of the institute. The IAP was conceived and built as a research center of a broad scope, pursuing fundamental and applied research in the areas of plasma physics, high-power electronics, physics of the atmosphere, hydrophysics, and quantum electronics. 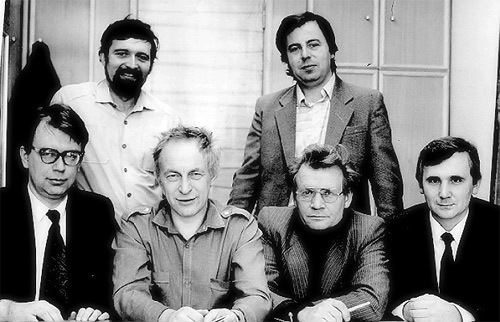 Among the NIRFI divisions that provided the basis for IAP was department № 2 (IAP department № 320), and in 1978 a large group of the «Salute Research Institute associates led by Sergey Viktorovich Gaponov and including Nikolai Nikolayevich Salashchenko, Аram Davidovich Akhsakhalyan, Еvgeny Borisovich Kluenkov and Valery Ivanovich Luchin transferred to the IAP and formed department № 560 for research into the laser and eventually magnetron deposition of thin semiconductor, metal and dielectric films. Research activities in the area of multilayer x-ray optics were initiated. In a few years the USSR State Prize for science and technology 1991 was awarded to А. D. Аkhsakhalyan, S. V. Gaponov, V. M. Genkin, B. M. Luskin, Yu. Ya. Platonov and N. N. Salashchenko for the development of multilayer optics in the soft x-ray and ultrasoft x-ray range. Left to right, standing: G. M. Genkin, I. G. Zabrodin, Yu. Ya. Platonov, E. B. Kluenkov. The 1986 Nobel Prize in physics «For the design of scanning tunneling microscope» and the 1987 Nobel Prize «For the important breakthrough in the discovery of superconductivity in ceramic materials» served as a major stimulus for developing research in these areas at IAP, and as early as in 1988 the laser deposition technique was successfully applied to produce high-temperature superconductor films with record parameters. First probe tunneling microscopes were designed and fabricated. The activities in the field of high-temperature conductivity had eventually grown into a major area of research pursued in the institute, with probe microscopes providing an effective instrument for this research. In 1988 the Department of solid-state physics and optics was organized at the Institute of Applied Physics (S.V. Gaponov appointed its Director) from the following divisions: 410 — semiconductor physics (headed by А. М. Belyantsev); 420 — physics of superconductors (А. А. Аndronov); 430 — surface physics (N. N. Salashchenko), lab 440 (1989) — solid state spectroscopy (Z. F. Krasilnik). At the same time Special Design & Technology Bureau (SKTB) was organized from divisions С-10 (F. V. Garin), С-20 (E. B. Kluenkov), С-30 (V. I. Shashkin), С-40 (D. G. Paveliev), С-50 (V. I. Ostrovsky). In September 1993 the Institute for Physics of Microstructures RAS was established on the Resolution of the Presidium of the Russian Academy of Science, based on the IAP Department of solid-state physics and optics and the listed scientific divisions.